Need a little motivation to get off the couch and get into shape? 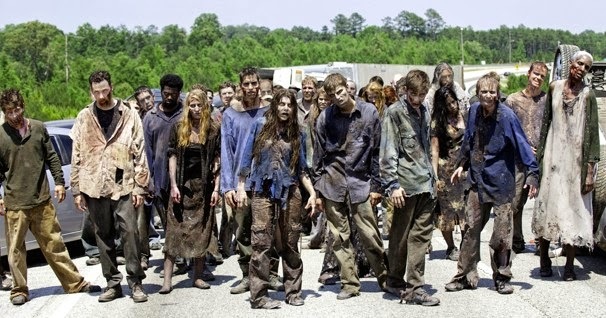 Here at Paranormal Pop Culture, we find nothing more motivational than the zombie apocalypse, and now you can get the best of both worlds with the Zombies, Run! 5k Training app. Six to Start brings fitness fiends and zombiephiles this eight week training program to prepare you for life on the run. "Zombies, Run!" 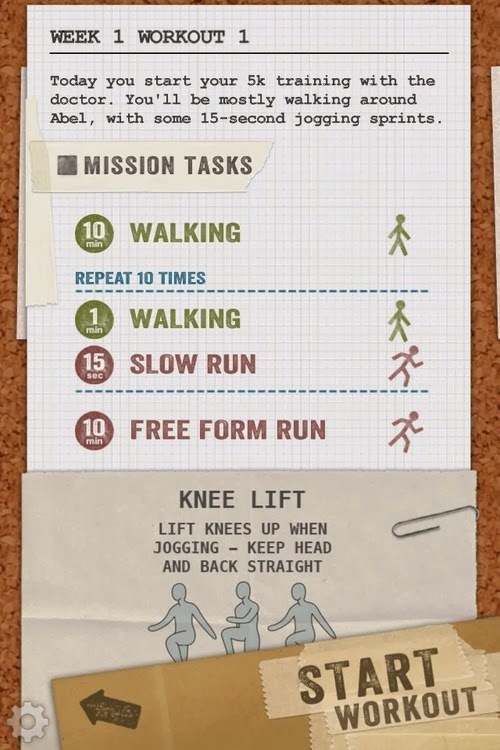 is an interactive app where you take on the role of Runner 5, an important member of the Abel Township, which is one of the last remaining outposts of humanity. As opposed to other running/training apps, this one sends you on missions, where you are trained to find supplies and protect the township from the "zoms," and become a hero over the course of 25 workouts. The enthralling story was written by Naomi Alderman, with the training professionally designed by Shauna Reid and Julia Jones of Up and Running e-courses. This app is recommended for beginners and is available in the iTunes store for $1.99. 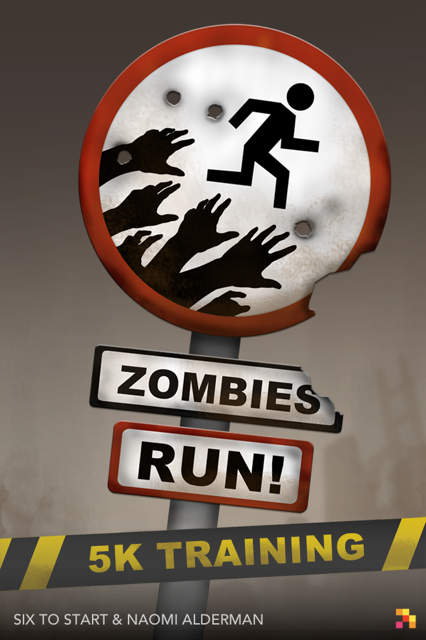 If you fancy yourself a bit of a running pro, you can nab the original Zombies, Run app, which includes 40 more missions, a base-building game, zombie chase interval training and much more, for $3.99. Personally, I had been finding myself in a winter slump and needed a new running app, as mine was getting pretty boring. Imagine my absolute glee when I read about this gem. I've always said that I needed to build my speed and endurance just in case I'm being chased by some chainsaw wielding maniac or a shambling horde of the undead. For $1.99, I figured I would give this a shot. I made a Pandora station inspired by AMCs "The Walking Dead," laced up my running shoes, leashed my dog and was off. My mission began with a helicopter crash and had me running from the wreckage to a nearby tower. I had radio assistance from members of the Abel Township, guiding me to safety. The town's sole doctor came over the airwaves to inform me that I wouldn't be allowed inside the gates if I didn't stop at the nearby hospital and bring them some supplies. According to another town member, John, this was what got the previous Runner 5 killed. With the intensity of the story coupled with the realistic sounding zombies occasionally moaning in your ears and having "don't turn around, she's right behind you," whispered in your ears, this app is absolutely my new favorite thing to get me moving. You can also synch your runs from your phone to the Zombie's Run site, where you can track your progress, read full recaps of the story events during your run, review your speed and you are also able to connect with over 750,000 players world wide! This is a super fun and creative way to get in a daily workout, so head over to the iTunes store and get this app today! 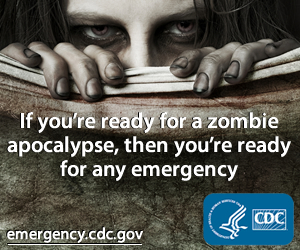 Because you never know when you're going to need to outrun a hungry horde of zombies...and sometimes they run, too.